Here is some thrilling news for all Mumbaikars, especially for those, who are planning to enjoy their weekend, in the lap of nature near the Western Ghats. As the monsoons this year is in full throttle, huge streams and waterfalls have come alive and are turning the rural landscape of Maharashtra into a beautiful paradise. 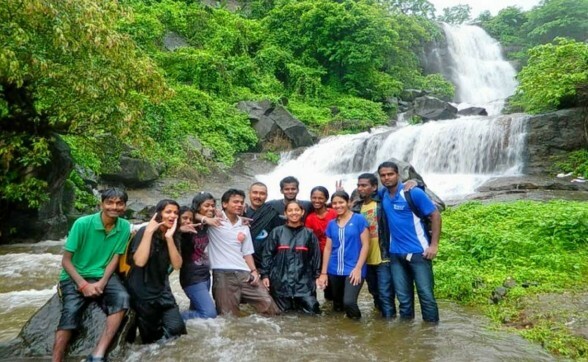 What better than a visit one of the numerous waterfalls near Mumbai, which offer lush greenery and icy cold waters, where one can enjoy a good time in the company of friends and family. Here we take a look at some of the best waterfalls near Mumbai that offer the best environment to enjoy your weekend. The Bhivpuri waterfall is situated near Karjat, and is an ideal place to start your weekend, and return on the same day, without having to travel too far away from Mumbai.Monsoons and winters are the best time to visit Bhivpuri as holiday makers can enjoy a short trek amidst the green hills and spend some memorable moments amidst the picturesque waterfalls. 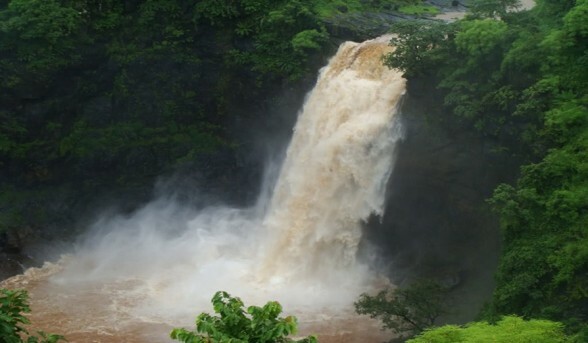 Also known as the Bhagirath waterfalls, this sleepy town of Vangani in Maharashtra receives heavy rainfall, which creates many beautiful waterfalls in the region. During this time the entire region turns into a beautiful piece of heaven on earth and is an ideal place to enjoy fun-filled picnics with friends and family. Above all, this place is lesser crowded and gives a chance to visitors to explore the natural beauty and soak in the absolute calmness of the region. 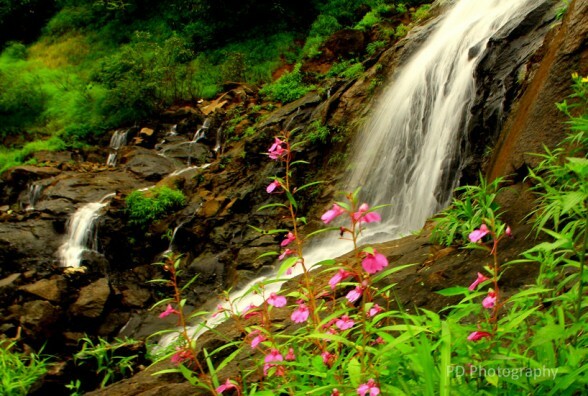 Pandavkada Waterfall is a beautiful waterfall situated in Kharghar, Navi Mumbai. Due to its location and easy accessibility it has become a favorite destination of most Mumbaikars, who like enjoying a picnic on weekends in the lap of nature. Apart from being a natural splendor, the waterfalls have some strong mythological connections and it is believed that the Pandavas had bathed under this fall and spend time in this region during their exile. 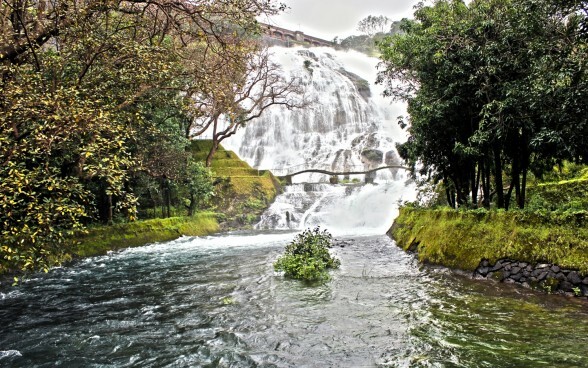 The Randha waterfall is located in the pretty hill town of Bhandardara, and is known to be the third largest waterfall in India. Once at the falls; visitors will feel the embrace of nature with cloud capped mountains all around, and milky water flowing in full vigor. The waterfall is formed over the Pravara River and cascades down from a height of 170 feet into a beautiful gorge.The best time to visit this waterfall is during monsoon, so make sure you do not miss this opportunity this monsoon. Located in Bandardara, the Umbrella waterfall is a beautiful fall, in the shape of an Umbrella and is situated at the Wilson Dam. This waterfall can be viewed only during monsoon season when the Wilson dam reaches its full capacity. 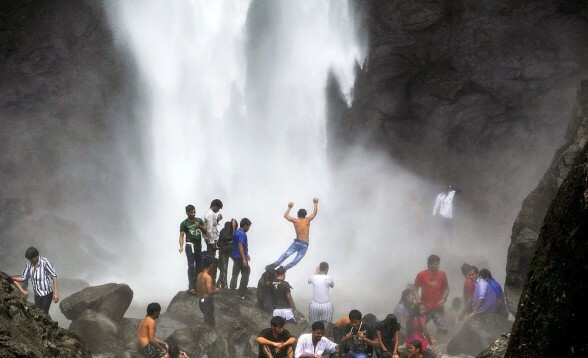 It is one of the main attractions in Bhandardara, and one of the best waterfalls in Maharashtra. Furthermore, the falls have been in the backdrop of several Bollywood movies and every visiting tourist will enjoy the breathtaking views from here. 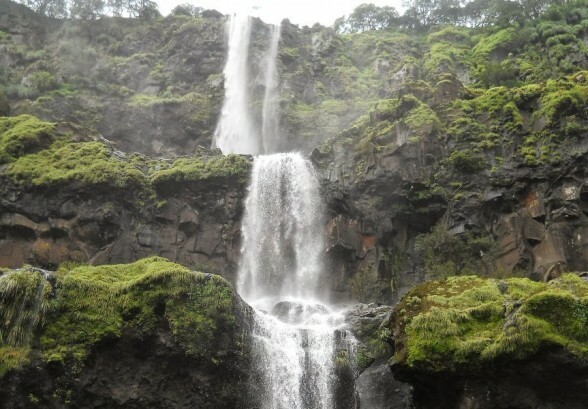 The Tungareshwar Waterfall is located in the Tungareshwar National Park and is also locally known as Chinchoti Waterfalls.The waterfall is located in the dense forest and can be reached after a short trek. 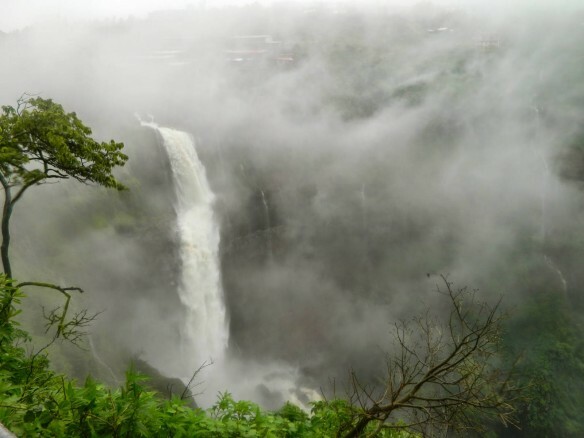 There is one large waterfall and many smaller waterfalls in this area.Above all, this attraction is not far away from the Mumbai city and travelers can reach Tungareshwar from Vasai or Naigoan and enjoy a fun-filled weekend within the city limits. The Bhushi dam is not a natural waterfall, but visitors can enjoy the same kind of experience when here. The dam is located in Lonavala and is very popular with tourists from Mumbai and Pune during weekends where they can get wet, enjoy splashing water and enjoy a good time with friends. Malshej Ghat is amongst the most visited destinations in Maharashtra during monsoons. The sheer magnificence of the waterfalls in this area can be enjoyed during monsoons, when the falls swell up with rain water, and cascades down the rocks adding to the beauty of the surroundings. Rain, mist and cascading waterfalls surrounded by woody forest make it a wonderful sight, where visitors can enjoy some of the most memorable moments of their life. 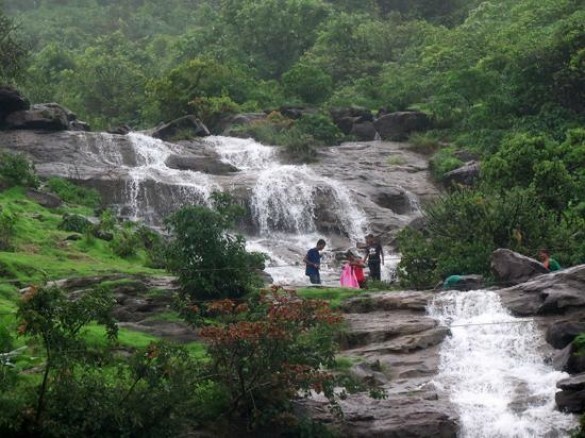 Zenith waterfall is located at Khopoli and is a popular destination with picnickers during the monsoons. To reach the falls one has to wade through a shallow stream and walk through a forest area. All this adds to the charm of the visiting the Zenith falls. Post monsoon tourist can enjoy adventure sport activities like rappelling and rock climbing here. Situated on the crest of the Western Ghats, the Tamhini Ghat is popular for its scenic waterfalls, lakes and dense forests. The waterfalls of Tamhini Ghat are a sight to behold during monsoon season i.e. between July and September. During this time it offers breathtaking views and a tranquil atmosphere surrounded by lush greenery and a diverse range of birds, a must visit for all nature lovers. 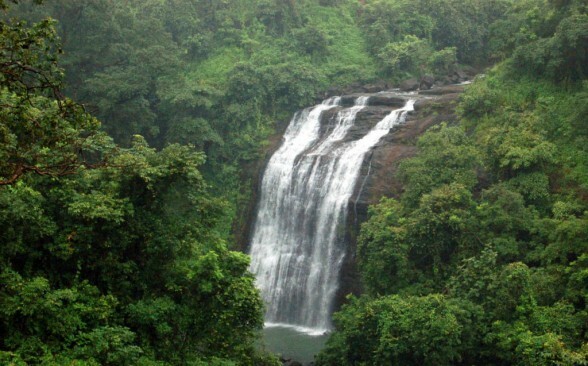 The Dabhosa Waterfall is located in Thane district in Dabhosa village on the Jawhar - Silvassa Road. This waterfall is popular with tourist for its campsite where they can enjoy the views of the sunset and also enjoy their stay during the night when the ambience of the falls is just beautiful. 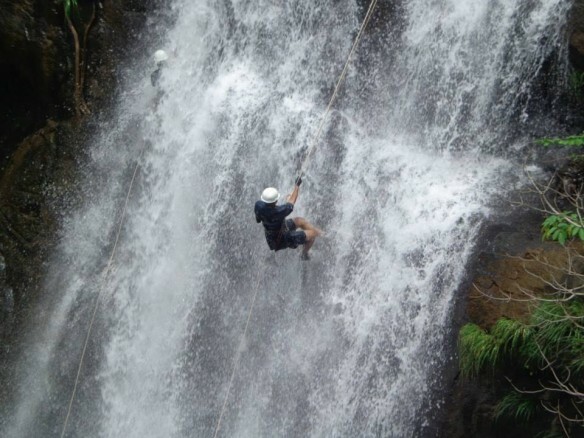 The fall is about 300 feet and apart from sightseeing, there are multiple adventure sport activities to enjoy like kayaking, rappelling, trekking, fishing, boating, laddering and valley crossing. The Kune Waterfall is located on the old Mumbai - Pune highway, in the center of the twin hill stations of Lonavala and Khandala. 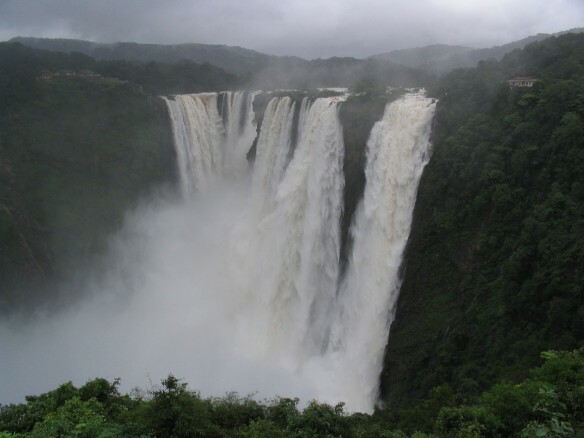 Kune falls lies at an altitude of 622 m, and is set against the backdrop of the famous Sahyadri hills. It is a 3 – tiered waterfall cascading down from a height of 200 m and is divided into 2 sections. Furthermore it is believed to be the 14th highest waterfall in India and is surrounded by lush green vegetation and provides a great visual experience for visiting tourist. Have you ever visited a secret waterfall? If the answer is No, then visit the Kansai Waterfall which is one of the most hidden waterfalls near Mumbai and Pune. 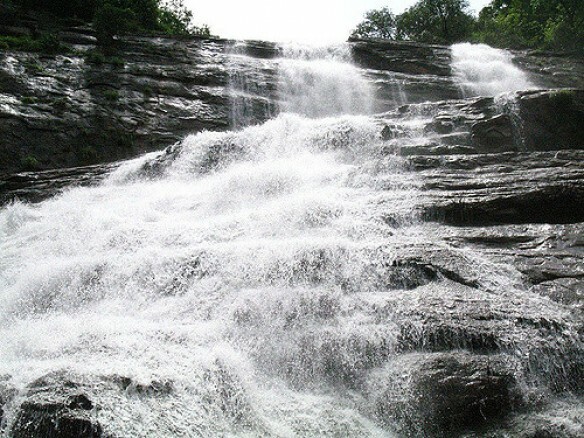 The waterfalls can be reached after a short adventurous trek and it is one of the falls which is the least crowded giving visitors a chance to enjoy a good time in the privacy of family and friends. The trip is loaded with adventure all the way and is ideal for a one day picnic. The best time to visit the falls is during monsoon up till December. Sukeli is a tiny village in Raigad district that is blessed with natural foliage and lush greenery. 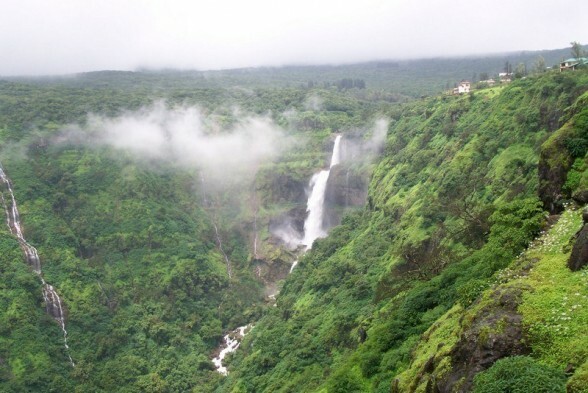 The waterfalls here attracts tourists from all over Maharashtra, and apart from the majestic waterfall, the area offers amazing views of nature and offers a peaceful and calm environment. Furthermore, during monsoon migratory bird visit this area, adding to its beauty. Trekking, Rappelling and Picnicking are popular activities that visiting tourist can enjoy at the falls. 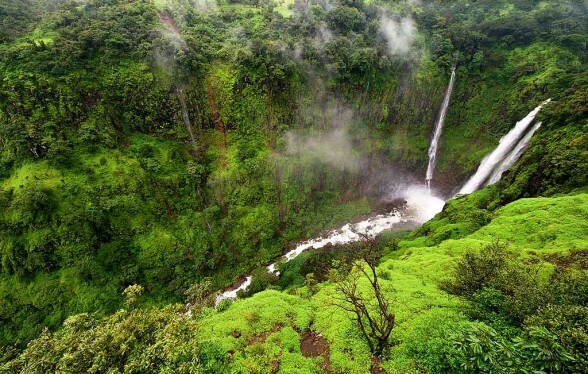 Thoseghar Waterfall is one of the tallest waterfalls in India, and is located in a scenic spot near Satara, and is one of the most visited attractions during monsoon season. Here there are a series of waterfalls, some of them 15 to 20 m, while the main fall is about 500 m high. The area surrounding the waterfall is calm and quiet with clean lakes and dark woods.There is a small picnic area and a platform which gives a good view of the waterfall to visiting tourists.